Volunteers are the heart and soul of the support the Society offers. 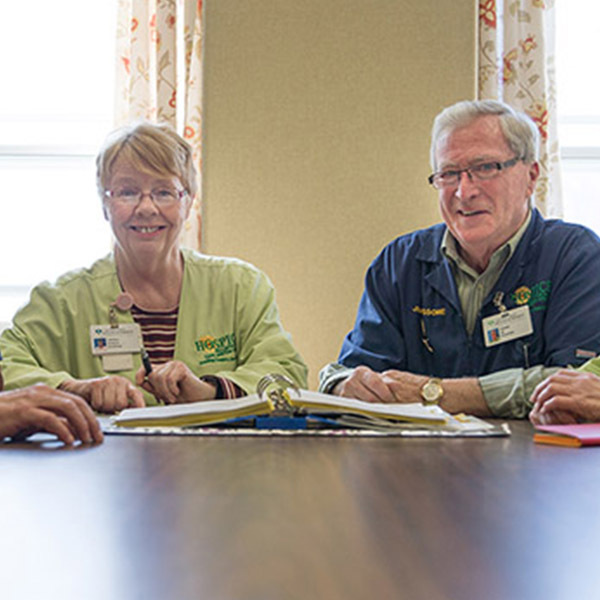 There are approximately 75 dedicated and compassionate palliative care volunteers across the district. But we are always looking for more. The palliative care volunteer is skilled in working with others, friendly, open and a good listener. They are nonjudgmental with a sense of humour and treat all people with respect and true affection. There are many roles for people interested in volunteering with the Hospice Palliative Care Society of Cape Breton County. In a hospital, volunteers sit and visit with patients, providing companionship and a listening ear. To perform the much-needed role of being a quiet presence with a patient. Other volunteers prepare baked goods each day in the An Cala kitchen, spreading joy with their home baked aromas and treats. Home volunteers also sit with patients and offer respite to family members. 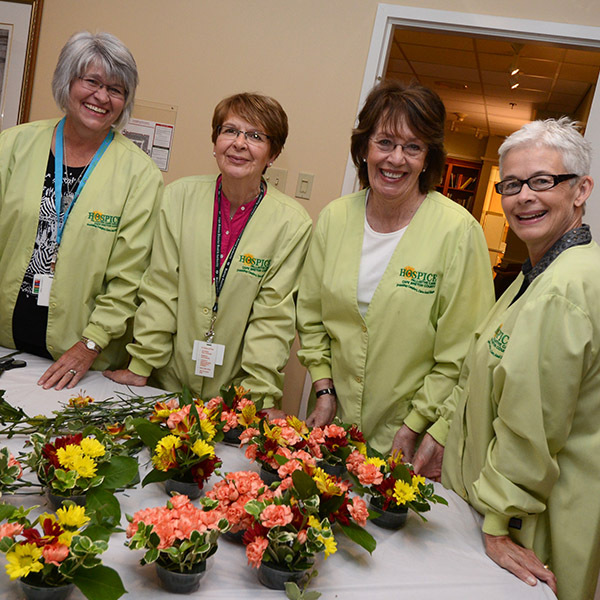 The home volunteers also take on various tasks that might be needed — it can be gardening, walking a dog, baking, gardening — whatever is important to the patient. Volunteers are selected through an interview process. Upon acceptance, the volunteer goes through the regular Nova Scotia Health Authority Volunteer screening process (including criminal record check, child abuse registry check, and reference checks) as well as a comprehensive two-day Palliative Care Volunteer training program. The knowledge of the gift your time allows for improved quality of life for a person and their family during a vulnerable time. Become part of a supportive team, increase your personal development. Meet some memorable and inspiring people. 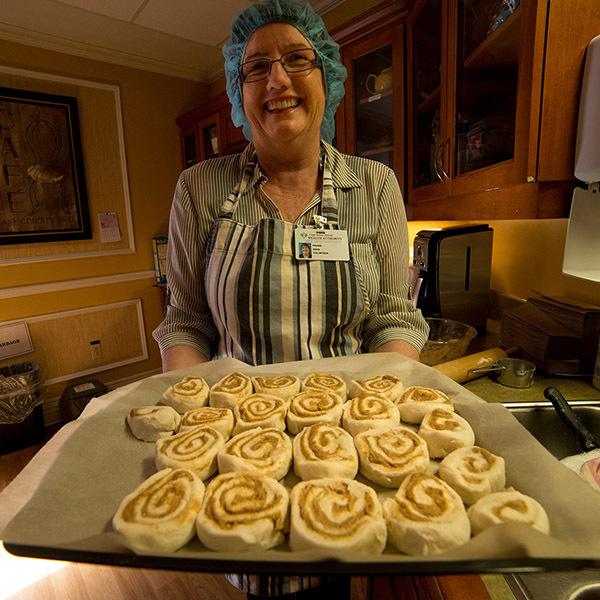 There’s a misconception that it’s a sombre, low-pace place, says volunteer Dena Pruski who makes cinnamon rolls every Wednesday. But there’s nothing better than when a family, who has someone actively dying, can sit in this kitchen and laugh, tell stories and share. Have a release. For more information on becoming a volunteer please contact the Volunteer Coordinator at 902-567-8160 or email pcvolunteers@nshealth.ca or complete and submit the Volunteer Form.